That’s one reason Swint became a baker. The other reason has to do with the yummy Slovenian strudel-like nut roll called potica (pronounced “poe – TEE – tsuh”), which has been present at gatherings of Swint’s Slovenian family for generations. Columbus baker Matt Swint talks about enjoying his family's traditional Slovenian potica sweet bread. Swint recalls the sweet nutty flavor of his grandmother’s potica. “It was the centerpiece of my grandma’s table,” Swint said. And he remembers as a kid watching his grandmother and other family members roll out the dough for the holiday potica. Cultural foods are often influenced by dishes from neighboring countries. Italy, Austria, Hungary and Croatia lend traditions to Slovenian cuisine. Potica, Swint says, has Austrian roots and, at holidays, has always had a place in the mix of Slovenian and American foods on his family’s table. 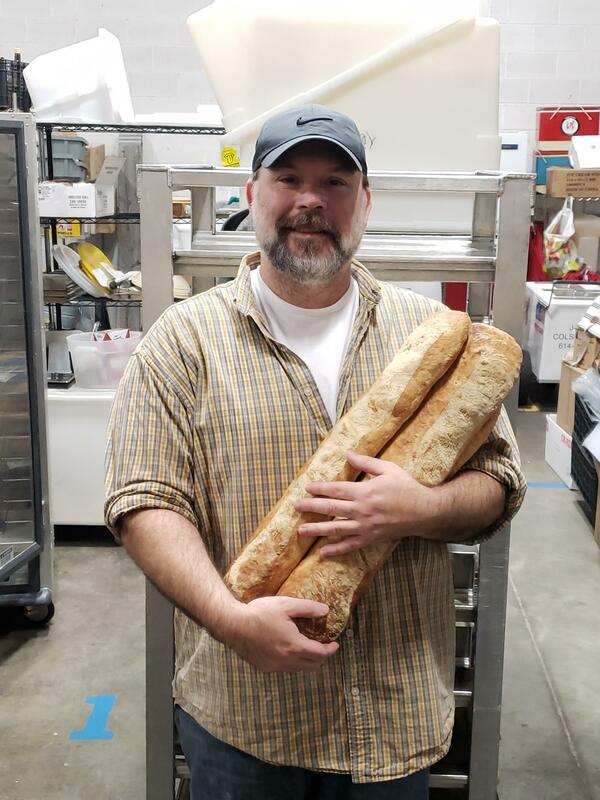 After working in construction and a yearlong stint running a food truck, Swint turned his hand to baking potica and other family bread recipes professionally as a way to keep traditions alive for his daughters, and as a way to extend the good feelings of his Slovenian family to others.